.Net Developer? You should’ve learned .Net Core yesterday. Irecently worked on a fun personal project, creating a web-based tool for client management using Asp.Net Core with Mvc. 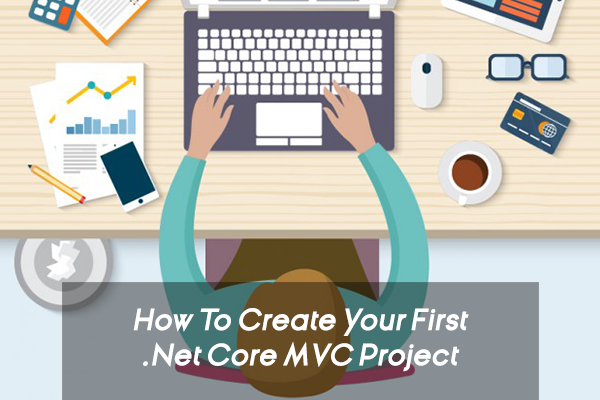 if you have already working on Asp.net Mvc framework then it will not difficult for you to understand the flow of work and if you’re new to asp.net then It’ll quite confusing. 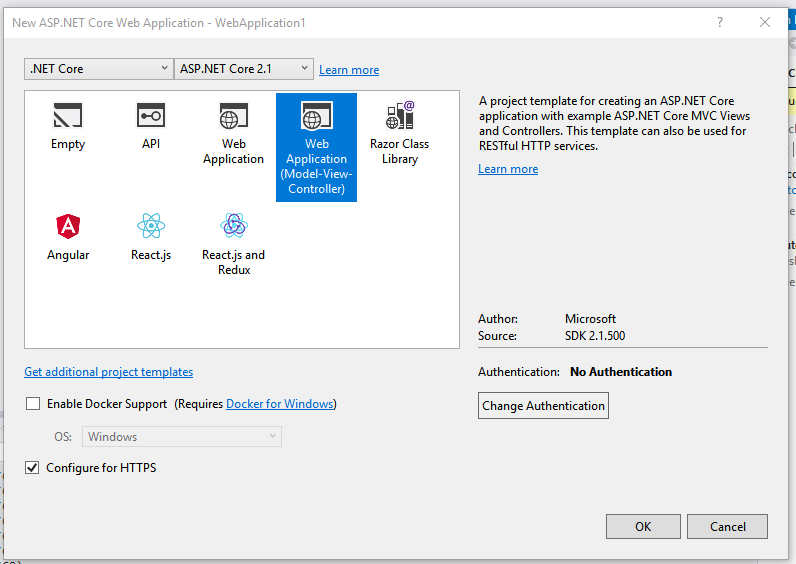 Open Visual Studio 2017 and lets create project. Assumes Visual Studio has been opened. Now navigate File > New > Project or (Ctrl+Shift+N). 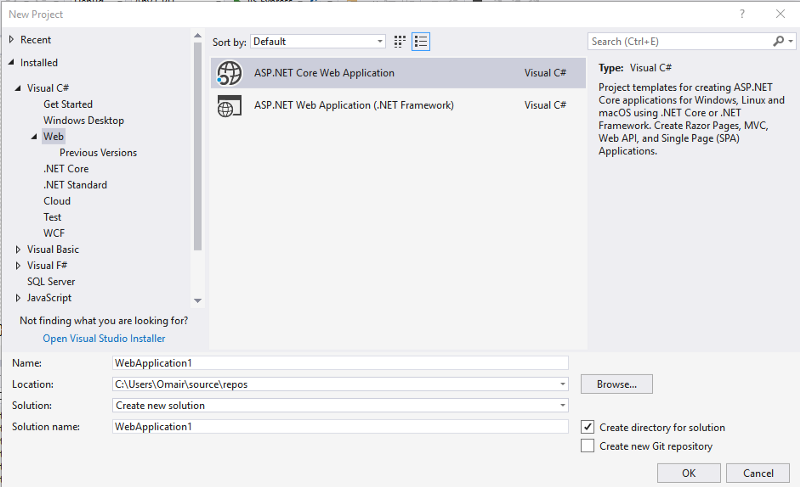 Under Visual C#, select Web template and Choose an ASP.NET Core Web application. Next, we’ll install the dependencies, build project from Solution Explorer to ensure we don’t get any compile errors. Opened the nuget Package Manager console from visual studio Tools menu. After Installing All above nuget packges now its time to generate database by using following nuget command. It will import all the database tables to output directory e.g. Models folder. "LeadDemoDatabase": "Server=MY-SqlServer; Database=DemoDb;User Id=sa; Password=sasa;Provider=System.Data.SqlClient;Trusted_Connection=True;MultipleActiveResultSets=true"
Now you have successfully configured your database server to your .Net Core Application. Now you can use sessions in your project controller to get and set sessions value. 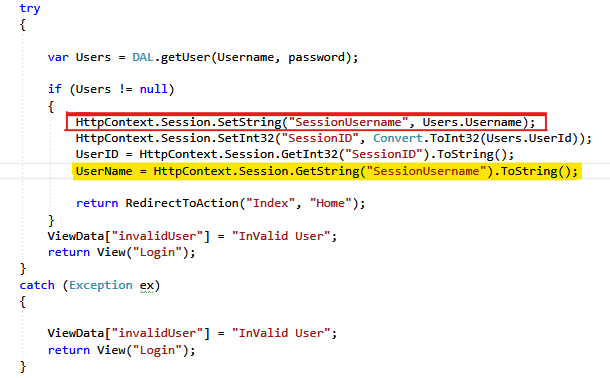 If you’re setting httpContext.Session in one Controller and need to access that sessions from an other Controller then open startup.cs and modify. So, that’s it! now you can go ahead and make changes on your app, simply repeat the build and deploy processes whenever you want to share it with others in your organization or if you simply want to put it out there.